Carbohydrates are the primary source of energy for the body of each athlete. However, dextrose not only acts as an energy but also increases the secretion of insulin, which in turn facilitates creatine transport into the muscle cells. Bet on the quality! Dextrose powder from Activlab is the most important simple sugar, generally also called "grape sugar" and in medicine - "glucose". 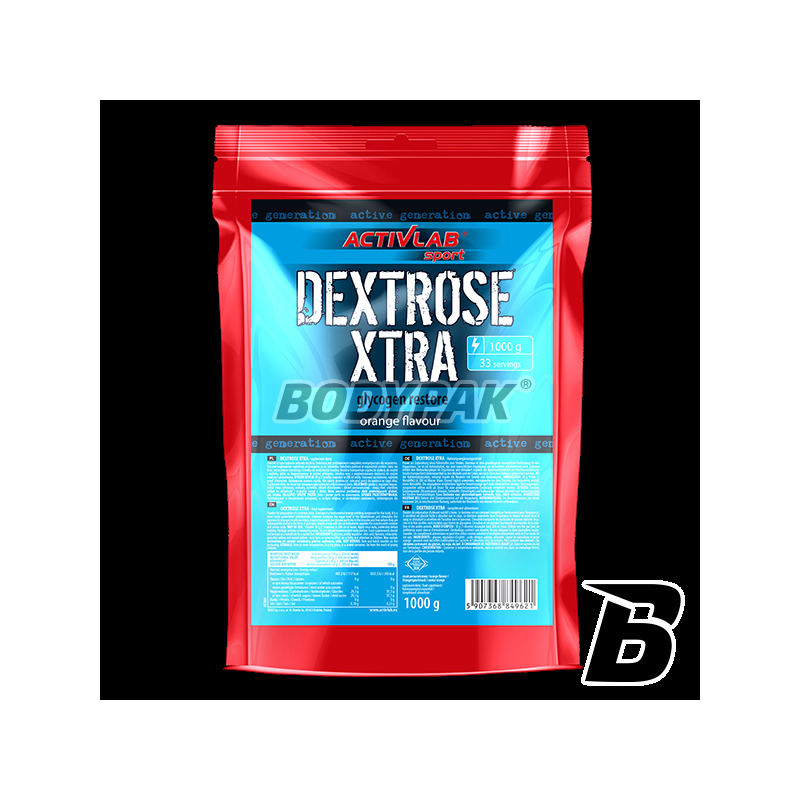 Activlab Dextrose Xtra provides energy right away - it is called. immediate energy. This is because you do not need any work metabolism. Dextrose penetrates directly into the blood and is the "fastest carbohydrate"! It is identical to the sugar in the blood and is transported with the blood directly to all the organs and cells of the human body, including the brain. Therefore, Dextrose Xtra may be a perfect complement energy during the day. 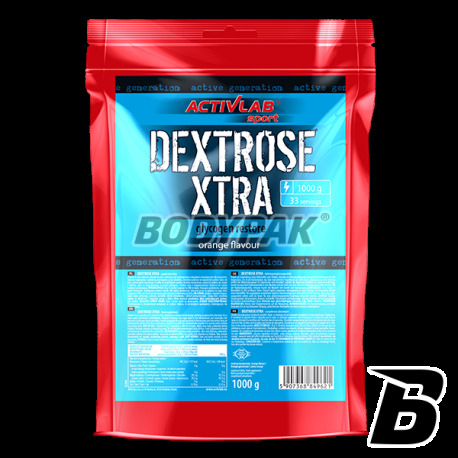 Dextrose powder can also be used as a transporter of creatine - the use of creatine with dextrose and results in better assimilation of creatine. Składniki: glukoza, regulator kwasowości - kwas cytrynowy, aromaty, barwniki: żółcień chinolinowa i żółcień pomarańczowa. Normalne węglowodany, ale w smaku bardzo dobre i w dobrej cenie - polecam! Excellent nutrient carbohydrate that does not burden the stomach and provides the necessary energy during long workouts! Interesting taste and good solubility will certainly appeal to you! Highest quality guaranteed by the manufacturer!